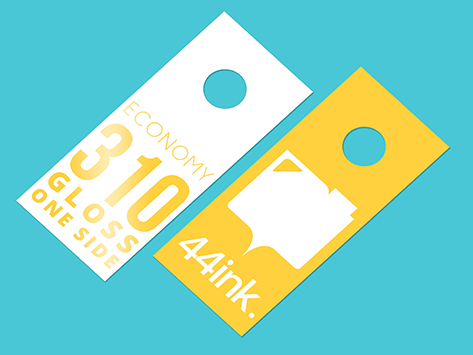 Please choose the options: Door hangers type, size, quantity, extras, double or single sided, to get an instant price. If you can't find what you are after you can click here to contact us or click submit a quote request. A gloss celloglaze door hanger just adds that extra star quality for your brand. A professional brand impression can mean the difference between winning and losing your next deal. Create a door hanger that makes your company stand out from the pack by adding an extra highlight and reflective shine.